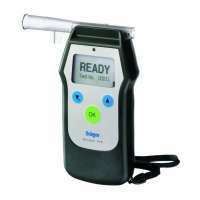 Drug & Alcohol Testing There are 6 products. 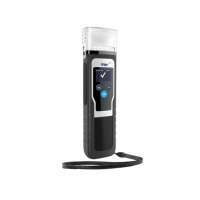 The Draeger range of professional mobile breath alcohol testers are constructive from durable materials and have been designed to be ideally suited for demanding conditions in rough weather. They can be operated by either left or right-handed people which is useful considering these units will mostly be mainly used for testing drivers side of the road which could be either left or right hand side. They are designed with highly accurate electrochemical sensors to guarantee short response times as well as a high level of precision and durability and fast and accurate results. Most functions are single key operated and navigation is accomplished using two menu keys for moving up and down on the display. 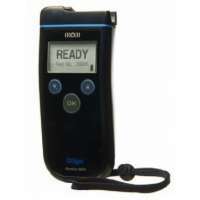 All units feature high visibility displays, multiple LED and audible signals making these breath alcohol testers extremely convenient to hold and to use, requiring almost no user training. Accurate fast results are guaranteed as well as high level of reliability and durability in the field, featuring long operation times, reflective strips for use at night and rubber non – slip mantles for added safety. 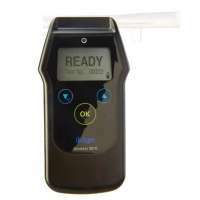 All these units are designed to supply fast accurate measurements and a high level of reliability and alcohol specific results to prevent the possibility of falsification or manipulation of data. As well as the display they feature LEDs and audio warning signals. The mouthpiece units are cleverly designed for ease and speed in replacing and fitting and are also hygienic as they are disposable. They are designed for use in a wide range of temperatures, guaranteed to give reliable measurements between -5° C and +50° C.
The Draeger alcohol 6820, 6810, 7510 testers are highly reliable units with the facility to transfer data easily either to a dedicated printer or PC. Designed to be reliable as well as user configurable, ergonomic in design, convenient and easy to use in demanding situations. 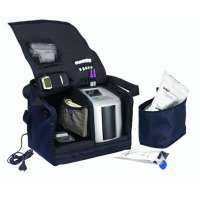 These testing units have a range of useful add- ons including storage racks, belt bags, GPS option and are available in 5 different packaging and storage options.